Why I Prefer Chai Latte to Chai Tea. You know how it feels when you take that first sip of your morning fix? Maybe it’s a latte, chai latte, cappuccino, flat white, dirty chai, mocha, or caramel latte. You know how it feels when you take that first sip of your morning fix? Maybe it’s a latte, chai latte, cappuccino, flat white, dirty chai, mocha, or caramel latte. Maybe it’s made with soy, almond, oat, cow, rice, or homemade cashew milk. But it’s a cup of heart-warming goodness. As mammals, humans are pre-programmed to like the taste of milk. To the mammalian brain milk = nutrition. As babies, we come to associate milk with safety, love, inclusion. As adults, we might not need milk, but we still love it and it still has those associations. We might choose to eschew cow milk in favour of plant-based milk, but whether it comes from a cow or a plant, warm milk makes us feel cosy, safe and nourished. Steaming milk does magical things to it. Steaming, when done properly, introduces hot air into the milk and creates microfoam which gives the milk a delicious, velvety texture. This texture makes the milk feel even creamier. Honestly, while it’s probably a little blasphemous in coffee circles to say it, I pick my favourite coffee places based on how the baristas steam the milk before I even think about beans. That’s how much I love the magic of properly textured milk. Chai latte or chai tea? I think you can guess by now that I’ll always pick a latte over a long black, and a chai latte over a chai tea. But it’s not just about the natural sweetness of milk or the creaminess of steamed milk. Adding milk changes the flavours of the chai spices. Chai lattes have a completely different flavour than chai tea. If chai tea is bright and sharp, then chai latte is rounded and mellow. If chai tea is complex and fine, then chai latte is simple and unpretentious. Not better or worse, just different. It’s like dark chocolate to milk chocolate. Or long black to latte. It’s all down to personal preference, and I’m a chai latte kind of girl! 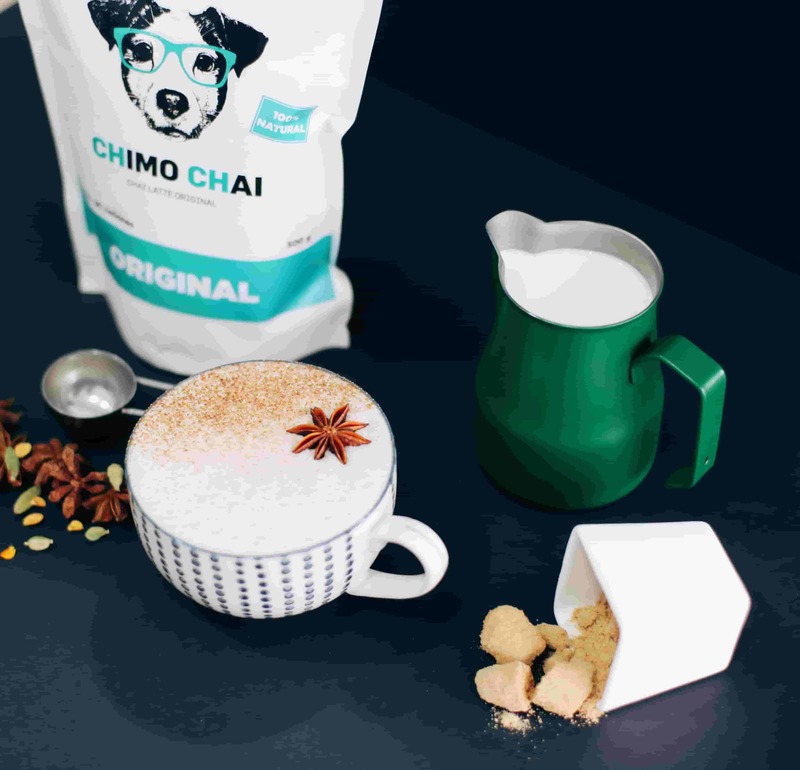 Creating an Instant Chai from Real Ingredients. 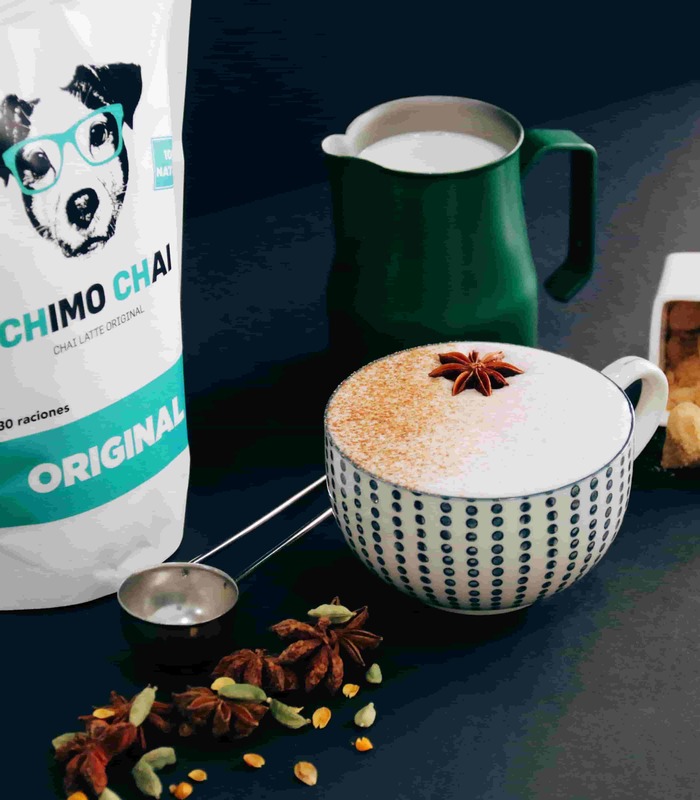 When we started Chimo Chai we had one goal: to make an instant chai latte that tasted like the chai lattes you find in big coffee chains but without all the junk ingredients. El primer Chai Latte español. Una marca propiedad de Jolufoods.